Federal forces intervened in this geographically expansive but sparsely populated region last week in order to restore law and order there after the state’s government challenged the central authorities by provocatively deploying their Liyu counter-insurgency forces to the federal city of Dire Dawa. Former Somali Regional President Abdi Mohamoud Omar’s heavy-handed tactics against the previously banned Ogadan National Liberation Front (ONLF) stand in stark contrast to the reconciliatory reforms of new Prime Minister Abiy who recently removed the group from the government’s terrorist list, but the latest conflict was sparked more by a simmering “deep state” power struggle within the country and less by the region’s legitimate security concerns. Apart from some of the officials in the Tigray Region, the former regional president was considered by many to be one of the last visible representatives of the “hardline” faction of the ruling coalition that has been rapidly swept aside by Prime Minister Abiy’s fast-moving reforms, and it’s possible that he and his backers wanted to see how far they could go in resisting the new government. The central authorities swiftly dealt with this dangerous insubordination and detained president Omar but not before some reprisal attacks were carried out against minorities in the region, which could have catalyzed a Balkanization chain reaction in the ethno-regionally fragile country during this sensitive political transition had the violence not been contained. Regional president Omar’s removal is being received very positively because of the notorious reputation that he built for himself over the years through what his many critics claimed was his propensity to use disproportionate military force against the ONLF, though it must be said that this group briefly attempted to opportunistically exploit the federal intervention in a last-ditch attempt to increase its post-conflict negotiating leverage with Addis Ababa, but eventually moderated its position and agreed to a unilateral ceasefire. It’s unclear at this moment whether they’ll “compromise” on their separatist stance, but it would be in the best interests of the country if they seriously considered it. Prime Minister Abiy is leading a peaceful revolution that seeks to substantially decentralize the formerly rigid state and consequently allow for the inclusion of non-traditional actors in its governing apparatuses as it transitions to a functional democracy, hence the removal of the ONLF and a few other prominent groups from the government’s list of terrorist organizations so that they can participate in this process. Theoretically, the end result could see each region receiving more political and economic autonomy, which could dramatically improve the standard of living in the Somali Region if this led to the clinching of a revenue-sharing agreement with the federal center. The roughly 8,5 million people that inhabit this part of the country are estimated to be sitting on $7 billion worth of natural gas exports a year, which will reach the international market via a pipeline through Djibouti, while its oil reserves there could pass through Eritrea via a newly proposed UAE-built pipeline. The Somali Region is also important as a commercial transit route for the Chinese-built Djibouti-Addis Ababa Railway (DAAR) and Ethiopia’s forthcoming access to the port that it’s jointly constructing with the UAE in neighboring Somaliland’s Berbera. If an equitable economic arrangement could be reached between the central authorities and the Somali Region’s, then the locals would undoubtedly benefit. 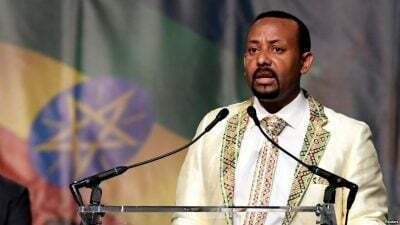 Former regional president Omar’s removal makes this possible and can allow Prime Minister Abiy to finally begin making serious progress on implementing this vision all across the nation as he strives to pioneer an Ethiopian Renaissance and turn his cosmopolitan country into an African Great Power, though provided of course that the remaining “hardliners” in the Tigray Region don’t stand in his way.